COMMITTED TO WORKING FOR YOU ! We get paid when you get paid! 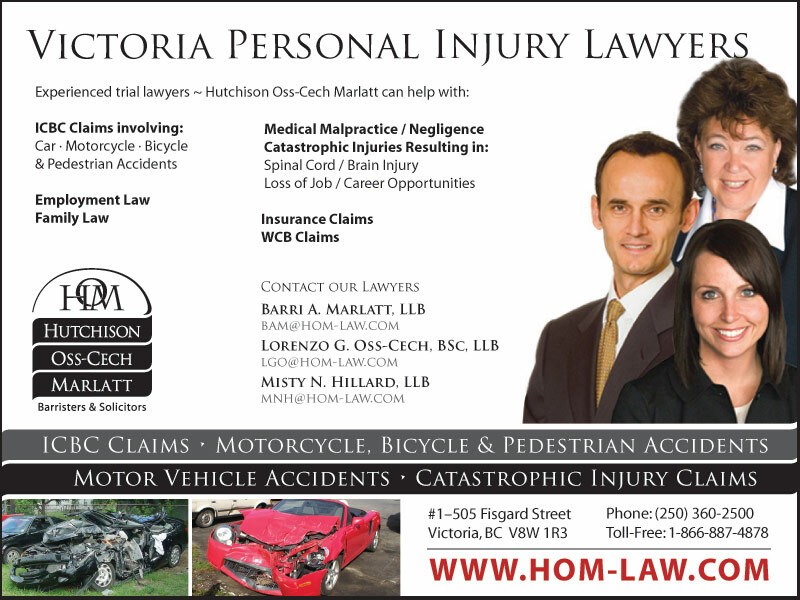 ICBC is the prominent public insurer for motor vehicle matters and contrary to popular belief, does not represent your interests in a tort claim or settlement when you are injured in a motor vehicle accident. 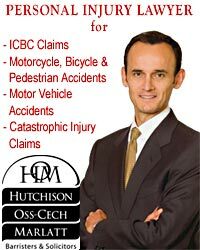 At Hutchison Oss-Cech Marlatt we provide you an advantage when dealing with car, motorcycle, bicycle and pedestrian settlements as well as issues involving minor to severe injuries and wrongful death. Our team has the knowledge and experience to handle all aspects of your claim and help you gain a fair settlement through negotiation, mediation or trial. It is not unusual for doctors, nurses and hospital staff to make horrendous mistakes. When that occurs, you should always consult a medical negligence / malpractice lawyer to understand and protect your RIGHTS & LEGAL OPTIONS. Medical malpractice occurs when a medical professional fails to provide appropriate medical treatment to a patient. In legal terms, it is when the appropriate standard of care is not met and the patient suffers an injury as a result. When a physician, dentist, chiropractor, hospital staff or any professional performs or administers medical treatment, they assume a responsibility to provide a certain standard of care. If that responsibility is breached, and injury results, medical malpractice may have occurred. Medical Malpractice claims are inherently complex, time consuming and expensive. Careful consideration with a lawyer skilled in malpractice actions must be given before a plaintiff embarks upon such a claim. #1 - 505 Fisgard St.